Extended Stay Deluxe Dallas Las Colinas Meadow Creek Dr. Enjoy excellent customer care and larger than life Texas hospitality at this boutique style Dallas hotel. The Best Western Market Center is ideally situated near downtown Dallas and offers easy access to premier sporting events, entertainment, shopping and restaurants. Hotel guests will find the American Airlines Center, home of the Dallas Mavericks and the Dallas Stars nearby. The hotel is also near the Dallas World Trade Center, Dallas Convention Center, Deep Ellum Arts District and the historic West End with the JFK Memorial. Each well-appointed guest room features amenities sure to please business and leisure travelers alike such as free high-speed Internet access, cable satellite television, free long distance access, data ports, coffee/tea maker, iron and ironing board and hair dryer. Other hotel amenities include a complimentary continental breakfast, business center, exercise room, hot tub and a courtyard with an outdoor swimming pool and sundeck. Conveniently located near Dallas Love Field airport, the Best Western Market Center provides the perfect base for exploring local attractions such as Medieval Times, Victory Place or the Wyndham Anatole. The hotel is also near several Dallas hospitals and key corporate locations including Coca Cola. 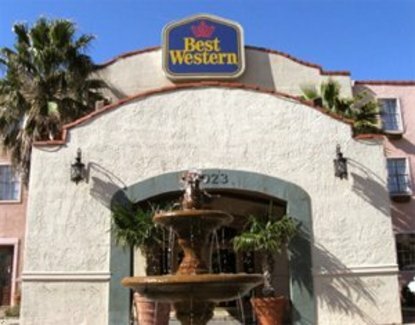 Make an online reservation today and save at the Best Western Market Center in Dallas, Texas.